For many years Boxing was a mainstay on broadcast television with networks such as NBC, ABC, and CBS all featuring the sweet science as part of each network’s respective sports programming. As the sport became more geared toward premium cable networks such as HBO and Showtime, as well as the medium of pay-per-view television over the years things gradually changed and Boxing gradually became almost nonexistent on broadcast television. 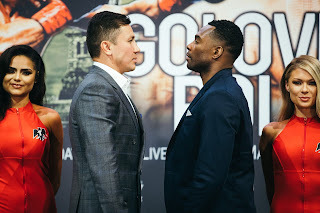 In recent years however, there has been a gradual shift to bring Boxing back to broadcast television as both NBC and CBS have featured cards on their respective networks. NBC in particular has reestablished itself as a player in the sport, regularly televising fight cards both on its NBC Sports Network as well as periodically featuring cards on the main NBC Network. This weekend NBC will do something that it has not done since May 20, 1985. Televise a Boxing card on the main NBC Network in primetime. On that night nearly thirty years ago then undefeated IBF Heavyweight champion Larry Holmes went fifteen grueling rounds against Carl “The Truth” Williams in defense of his crown. In what was a competitive fight from start to finish, Holmes overcame a determined effort from Williams to retain his title via fifteen round unanimous decision. Now almost two months shy of the thirtieth anniversary of that fight, Boxing will once again take center stage in primetime with the debut of the “Premier Boxing Champions” series on Saturday night. The first installment of the series will feature a doubleheader at the MGM Grand in Las Vegas, Nevada. In the co-feature former three-division world champion Adrien Broner will do battle against former world title challenger John Molina Jr. Broner, who has won world titles in the Jr. Lightweight, Lightweight, and Welterweight divisions will be fighting for the third time since losing the WBA Welterweight world championship to Marcos Maidana in December 2013. Since the loss to Maidana, Broner moved down in weight from the 147lb. Welterweight division to the 140lb. Jr. Welterweight division and has won his last two fights over contenders Carlos Molina and in his last fight over Emanuel Taylor. Broner, who is currently rated number three in the world by the World Boxing Association (WBA) and number four by the World Boxing Council (WBC) could be in line for a potential title shot if he is able to get past John Molina Jr. Molina, will go into the fight having lost three of his last five fights and one might argue is in a must win situation if he hopes to remain a contender. In his last two fights, Molina was stopped in an exciting battle against top contender Lucas Matthysse in April of last year, and dropped a ten round unanimous decision to former Lightweight world champion Humberto Soto last September. Despite suffering some setbacks during his career including being stopped in his one world title shot against Antonio DeMarco in September 2012, Molina has a crowd pleasing style and comes to win. The key to this fight in my mind will be whether or not Molina can deal with the hand speed and accurate counter punching of Adrien Broner. It is logical to assume that Molina’s best chance for success in this fight is to implement a similar approach to what Marcos Maidana was able to do against Broner. Maidana consistently pressured Broner and was able to dominate the fight with his power punches, scoring two knockdowns of Broner in winning a convincing unanimous decision. While it could logical to assume that Molina will look to be aggressive and pressure Broner, one could equally assume that Broner will be looking to counter Molina. It will be interesting to see if Broner elects to let his hands go more or choose to execute his offense off of counter punch opportunities. A problem previous Broner opponents have had in addition to his hand speed is his ability to be extremely accurate with his offense along with solid defense. If however, Broner is overlooking Molina it could prove to be a mistake. In the main event of this card undefeated Welterweight contender Keith Thurman will face former three-time world champion Robert Guerrero. Thurman, who is unbeaten in twenty-four professional fights with twenty-one knockouts has become a fighter to watch in the talent stacked Welterweight division. In his last fight Thurman scored a twelve round unanimous decision over previously unbeaten contender Leonard Bundu last December. In Robert Guerrero Thurman arguably faces his toughest test to date. Guerrero has been one of the top fighters in the sport for several years winning world titles in the Featherweight and Jr. Lightweight divisions. Guerrero will be fighting for the second time following his loss in a failed attempt at a fourth world title in his fight with Floyd Mayweather in May 2013. In his last fight in June of last year, Guerrero scored a hard fought twelve round unanimous decision over a “Game” Yoshihiro Kamegai. For twelve rounds Guerrero and Kamegai went to war in what was one of the most exciting fights of 2014. Now Guerrero prepares for what could be another war against Keith Thurman. This is a fight that I feel could go either way. Both fighters can box and both have shown a willingness to stand and go toe to toe with their opponents. Guerrero is six years the senior of Thurman and has more experience. By the same token, Guerrero in thirty-seven professional fights has been through wars in his career and one could wonder as he approaches his thirty second birthday later this month if those battles have begun to take a toll on him as he prepares to face a fighter with a near 85% career knockout percentage in the twenty six-year old Keith Thurman. In addition to two exciting fighters being pitted against each other, this fight may also have an impact as it could determine who will face the winner of the scheduled May 2nd Welterweight unification bout between WBC/WBA Welterweight world champion Floyd Mayweather and WBO champion Manny Pacquiao. Thurman, who currently holds interim/regular champion status in the WBA’s Welterweight ratings would theoretically be in line to face the winner of that fight should it take place if he is able to get past Guerrero. For Guerrero meanwhile a victory for him could lead to a potential rematch with Mayweather or a fight with Pacquiao. With much of the Boxing world focused on Mayweather-Pacquiao, the stakes of this fight between Thurman and Guerrero are very high. In the bigger picture the “Premier Boxing Champions” series just may be the start of big-time Boxing once again being showcased on a regular basis on broadcast television. The series, which will involve NBC, CBS, Spike TV, and Bounce TV has already generated buzz. The debut of the “Premier Boxing Champions” series may open a new era for the Boxing world and ultimately the Boxing fans.